Just four weeks ago, news emerged that John Cena and Nikki Bella had broken up – a year almost to the day after the seemingly happy couple got engaged. The engagement came after the pair had beaten The Miz and Maryse in a tag team match in front of 65,000 fans who were at Orlando’s Camping World Stadium for WrestleMania 33. However after around five years together, the pair called it quits. Appearing on US breakfast show, Today, Cena spoke out about the breakup in a truly heartbreaking interview – showing Cena in a manner previously unseen. In the incredibly moving interview, Cena talks about his ex-girlfriend claiming he’ll do whatever it takes to get her back. She, I guess, needed a little time to find whatever it is she’s looking for, and at the risk of my own emotional wellbeing, and especially so close to that moment of ‘I do’, she’s gone, she needs to be happy. 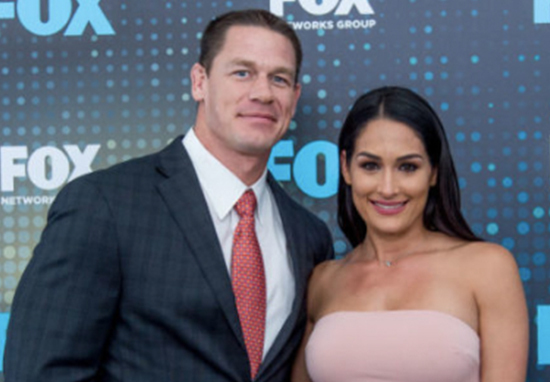 Cena had previously asked the former Total Divas athlete to marry him, but revealed he wanted to make it official on the ‘grandest stage of all’. The couple had spent around 5 years together before their engagement and reasons for the split are still unknown…Though I’m guessing it won’t take long before the gossip pages are full of rumours.